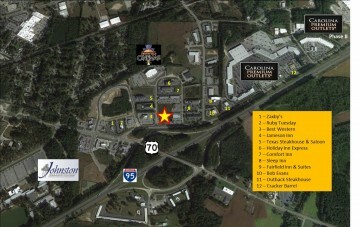 Industrial Drive is the main thoroughfare for shoppers (7 million annually) visiting Simon’s Smithfield Premium Outlets. Johnston County is the 6th fastest growing county in North Carolina since 2000. It ranks in the top 100 fastest growing counties in the US from 2000-2010. 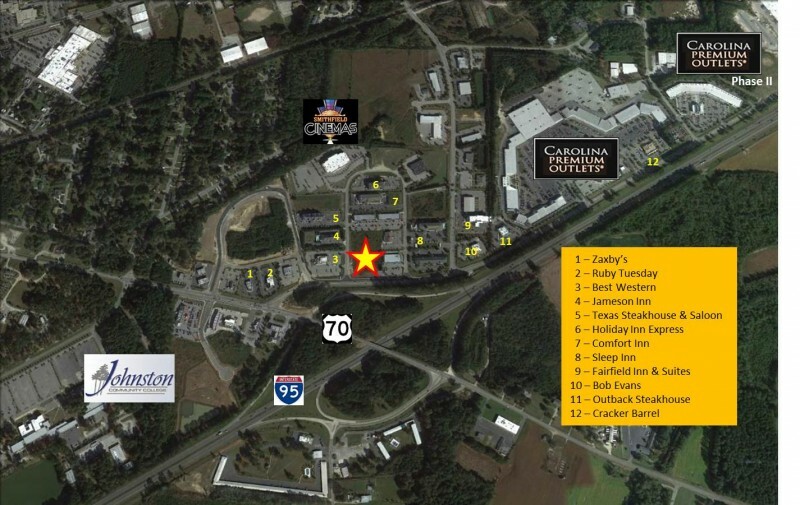 Johnston County had $1.2 billion in retail sales in 2011-2012 and ranks 16th in North Carolina for retail sales. Johnston Community College serves over 17,000 students each year. At the corner of Industrial Park Drive (soon to be Outlet Center Drive) and South Equity Drive.